Who is the Manufacturer of Folexin? There are several claims that are made about Folexin; It is manufactured in US and distributed by Vita Balance. The manufacturer claims that Folexin is an advanced formula which is quite safe and no unpleasant side effects have been reported by most users. Folexin is claimed to be highly effective in promoting and enhancing the growth and thickness of your hair. Furthermore, the manufacturer claims that Folexin helps in promoting thicker and healthier hair as it is also considered to be the top hair growth product. What are the Disadvantages of Folexin? What Kind of Reviews Are Out there for Folexin? Is It Safe To Purchase Folexin Online? How Should You Take Folexin? Does Folexin Offer a Free Trial? Who Can Use It (Male/Female)? Aging is something we have to deal with because it cannot be avoided. Aside from our skin wrinkling and our abilities slowly declining, you will also notice aging effects on your hair. It may become thinner than before, it might lose its natural color (greying), or you may be dealing with hair loss and going bald. 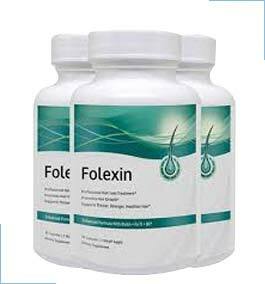 If you want to boost your hair growth, you may think about using Folexin as a daily dietary supplement. This product comes in tablets filled with two different groups of ingredients. Each capsule contains a proprietary blend and a complex of vitamins and minerals. Some of these ingredients, such as bamboo extract and nettle root, may play a role in preventing hair thinning. The manufacturer also included compounds that might be helpful in preventing greying and restoring your natural hair color, such as PABA and biotin. At the same time, there are ingredients that stimulate hair growth, such as Fo-Ti and spirulina. The important thing to mention is that the ingredients are herbal-based which makes this a natural supplement. The claim of the manufacturer is simple – they secured a formula that contains ingredients that might boost your hair growth while preventing thinning and greying. At the same time, the nutrients may be beneficial for your overall health. The manufacturer claims that, after using Folexin for a while, you will see that your hair is noticeably stronger and thicker. Your hair will look and feel beautiful, but the crucial thing to take into account is that you shouldn’t expect overnight success. However, if you are looking for long-term hair growth and improving overall hair health there is no doubt that Folexin can be very helpful in achieving those goals. 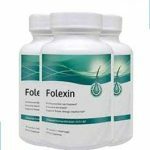 Folexin is made up of powerful natural ingredients that utilize their potency in helping most men to have good hair and also improve their overall health. Remember when picking a formula, it is important to quantify as well as verify the main ingredients contained in the formula. Here are the key ingredients contained in Folexin. The formula also has a complex of vitamins and minerals, including vitamin A, vitamin C, calcium carbonate, iron ferrous fumarate, vitamin D3, vitamin E, vitamin B1, vitamin B6, folic acid, vitamin B12, biotin, vitamin B5, magnesium oxide, zinc oxide, manganese chelate, and potassium gluconate. As for inactive ingredients, they include silicon dioxide, magnesium stearate, rice flour, and cellulose (vegetable capsule). 1 Q.Where Can I Buy Folexin? Ans. If you like this product, then you can visit the Official WebSite and make an order of purchase. The product comes in capsule form and is available in packages which you can buy several bottles. In case you buy one bottle, it will cost you $24.95 this bottle will last you for one month. 2 Q.Is It Safe To Purchase Folexin Online? Ans. Yes, the websites used to purchase this product using very strong and secure data encryption connections that ensure safety and security of your order and payment. 3 Q.How Should You Take Folexin? Ans.You should take two capsules of Folexin every day. The first one should be taken somewhere around lunch and the other one in the evening. 4 Q.How Much is Folexin? Ans. If you purchase through the official website, a single bottle will cost you $24.95 plus shipping costs of $4.95. Buying multiple packs at once will bring you a discount and two bottles will cost you $44.96 plus shipping costs, while the special 4+1 offer can get you five bottles for $89.90. 5 Q.What is Folexin Return Policy? Ans. If you change your mind for any reason and do not want Folexin anymore, you can return it within 30 days, but the jar has to remain unopened. In the case you received a damaged or faulty product, you are also entitled to a return within 30 days. 6 Q.Does Folexin Offer a Free Trial? Ans. No, there is no a free trial offer for Folexin at the moment. 7 Q.How Many Tablets Are There in One Bottle? Ans. You can find a total of 60 tables in a single bottle of Folexin. Considering that you should take two capsules per day, this will be enough for 30 days of use. 8 Q.Who Can Use It (Male/Female)? Ans. The good news is that this is a unisex product, which means that both adult males and females can use it. 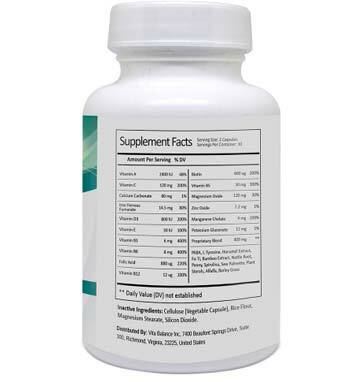 Folexin is a natural and herbal-based dietary supplement that promotes hair growth and assists in preventing hair loss. The idea is to utilize the formula to provide the hair with nutrients that can make it thick, strong, and beautiful again. This is not a product that delivers overnight success. It will not help to use it once or twice and expect to see a result. Instead, you need to be patient as the visible effects might take up to several weeks. Ultimately, Folexin may help in preventing hair thinning and balding as well as boosting hair growth, which is reason enough to give it a shot. I have been having hair loss for a while due to medications that I am on. I didn’t want to be bald in my early 30s but it looked like that was what was going to happen. I looked into different resources and hair transplant but came upon Folexin while searching for other options. I am so thankful that I found this product. No longer do I have a receding hairline but the hair is actually coming back, and I couldn’t be happier. It’s helping me to feel better about myself and makes me look younger as well. While I’m all about the bald look, I didn’t want to lose my hair just yet and Folexin has been the answer to that issue. Folexin – Hair Growth Supplement that Really Works! If you are looking for an all natural hair growth formula, Folexin is the way to go. It is full of natural hair health ingredients like saw palmetto, alfalfa, barley grass, and spirulina. All of these contribute to a healthier body and blood circulation which boosts the health of your scalp. When your scalp gets better circulation, your hair has a chance to regrow. Folexin stimulates the hair follicles from within, encouraging thicker, healthier hair that doesn’t break as easily. There is no gummy gel to smear on your head, either. Try it, and you won’t want another hair treatment. I purchased Folexin after reading some positive reviews and having no luck with other products I’ve purchased for my continued thinning hair. I actually didn’t notice that much of a change after two weeks, but my girlfriend was the one who said my hair looked thicker so I figured I’d keep going. So glad I did. I’ve seen noticeable hair growth after a month, my hair is definitely thicker, and my grey hairs are even darkening. I wasn’t even expecting any change in my color, but that’s added to my hair making me look younger. If you’re facing some serious hair loss (and grey! ), I would highly recommend this product.